For all the border-transcending, common cause implications of the popular moniker "the Arab Spring," the sociopolitical upheaval it is meant to allude to seems, upon superficial review of its developing impacts, to have largely missed the Persian Gulf. The protests at Bahrain's Pearl Roundabout garnered minor international media attention relative to the "revolutions" undertaken in Tunisia, Egypt, Libya and Syria, while Kuwait and Saudi Arabia project images of comparative regime stability. In fact, invigorated by the successes and mindful of the tactics of the selfdetermination movement throughout the Middle East, demonstrators in Kuwait and Saudi Arabia have posed increasingly bold challenges to regime legitimacy. I argue that, though the impact of this dissent has been far less dramatic than in other Middle Eastern states where entrenched regimes have been ousted, the subtler evolutions in the character of interaction between the state and the populace in Kuwait and Saudi Arabia are of monumental importance to prospects for establishing representative governance. Although strategic allegiances between the established authoritarians and the United States create a significant roadblock to liberalization, the democratizing spirit of the Arab Spring has galvanized a significant contingent of Kuwaiti and Saudi dissenters to express their latent discontent across multiples communities of identification. As a result, unsettled regimes in both states have responded with disproportionate brutality. In some ways, it can be immensely useful to classify the Gulf States in terms of their similarities. Sunni royal families, controlling enormous oil revenues, rule over states with vast wealth inequality, very few opportunities for democratic or civil society participation, and strictly enforced limits on self-expression. Large expatriate or noncitizen populations and a striking juxtaposition between undeveloped desert hinterlands and gaudy, expanding metropolises also characterized the Gulf States. All of them, with the exception of Saudi Arabia — Kuwait, Bahrain, Qatar, the United Arab Emirates and Oman — were British Trucial Mandates, which survived with nominal control over domestic policy until they were granted independence in the 1960s and early 1970s. Tribal ties were, at the time of independence, the primary organizing unit of power, and, where British military and financial aid helped prop up the ruling families in the days of the mandate system, oil wealth served much the same function for the nascent sovereigns. Today the Gulf boasts some of the highest per capita GDPs in the world, as well as some of the lowest Freedom House scores. Today the Gulf boasts some of the highest per capita GDP's in the world, as well as some of the lowest Freedom House scores — in 2012, 1 being most free and 7 least, Kuwait boasted the lowest aggregate score (9 —"Partly Free") between the categories "political rights" and "civil liberties," while the rest of the Gulf was in the 11 to 14 range, earning them the blunt designation of "Not Free." One might expect these two factors to create a potentially volatile cocktail of affluence and stifled political aspirations. But a combination of government patronage, strategic negotiation of sectarian divisions (e.g. divide-and-rule playing Shiite and Sunni fears off one another), religious authority, foreign support and brutally effective security apparatuses have maintained the status quo for these ruling families for decades, with only minor concessions. Having noted these commonalities, however, it is important to recognize the sociopolitical variety of the Gulf. Kuwait and Saudi Arabia represent the two ends of the (admittedly limited) spectrum of liberality of governance. Saudi Arabia's ruling family, the House of Saud, has maintained strict control over all important executive positions — remarkably, family patriarch Abdulaziz bin Abdul Rahman Al Saud's prolific procreation practices, along with those of his brothers, have supplied the most powerful offices of the kingdom with thousands of eligible princes. Kuwait was founded as a sovereign nation by the entrenched Al-Sabah family in 1962. The Al-Sabah implemented a quasirepresentative democracy, composed of a popularly elected parliament that has no control over the Emir or the Prime Minister he appoints. Therefore, the system is instrumentally doomed to an uneasy imbalance to be constantly and contentiously negotiated between the parliament and the ruling family, with the latter enjoying the full power to dissolve the National Assembly as well as to appoint the various ministers who make up the sixteen-member cabinet. Still, despite the clear authoritarian persuasion of the ruling system and the relatively frequent intragovernment tension it engenders, the Kuwaiti model has long been admired as a bastion of relative representative expression in the Gulf. Eligible citizens vote in regularly held elections, and parliamentarians are generally allowed to question the policies of specific ministers and to initiate legislation. The unsettled authoritarian-democratic dynamic is further manifested in the court system, which, though ostensibly an independent entity committed to determining the constitutionality of Kuwaiti legislation, has its administration and budget allocated by the Emiri authority. Judges in the lower courts are appointed by the Emir. They rule a kingdom in the truest, most dynastic sense of the word, an absolute monarchy that has never tolerated the formation of a sustained political party or the implementation of a national election. Since January 2011, when the cries for independence that became the Arab Spring began to echo throughout the Middle East and North Africa, reports of popular dissent have been relatively sparse, especially regarding Saudi Arabia. Western media has largely been fixated on the expansion of self-expression and dissenting messages on Twitter, prompting two New York Times articles in October 2012 alone. Social networking was essential to the initial emboldening and organization of the successful revolutions across the Middle East, and it is significant that the simple volume and indirect expression Internet activism allows have facilitated the public expression of vast swaths of discontented Saudis. The discontent is various in nature, but much has been explicitly concentrated on the lack of political representation: "Twitter for us is like a parliament, but not the kind of parliament that exists in this region," said Faisal Abdullah, a 31-year-old Saudi lawyer. "It's a true parliament, where people from all political sides meet and speak freely".2 Most popular are hashtags denoting disgust with the regime, including "Saudi Corruption" and "Political Prisoners," while formerly incarcerated dissenting cleric Salman al-Awda has more than 1.6 million followers. That these sentiments have been allowed to remain on the Internet at all is unprecedented; that private citizens choose to publicly identify with the messages is nothing short of a breakthrough. It represents testament to a well-trodden theme of the Arab Spring — safety in numbers. A certain critical mass of solidarity must be reached in order to challenge the formidable security apparatus of these security states. The Times notes, "with so many people writing mostly under their real names … the authorities appear to have thrown their hands up." Still, converting this cyber-solidarity into a physical presence is no simple task — this stark reality was illustrated at the March 11th, 2011 "Day of Rage" Protest, where schoolteacher Khaled al-Johani was the sole demonstrator to brave sure detainment in Riyadh.3 Al-Johani was detained without charge until March 1st, 2013, when he was sentenced to 18 months in prison.4 The relative leniency of the sentence in a state where adultery is punishable by beheading suggests the regime is beginning to understand that acting with impunity may be more inflammatory than pacifying. Most popular are hashtags denoting disgust with the regime, including "Saudi Corruption" and "Political Prisoners"
Not all Saudi dissent has been electronic. Saudi Arabia's Eastern Province, known as a bastion of Shiite population density, entertains the highest incidence of open dissent. In an interview with Jadaliyya, the anonymous organizer of the "Eastern Province Revolution's" Facebook and Twitter pages stated the movement's mission as seeking "to establish a consultative and electoral ruling system that represents the will of the people." Protests in the major Eastern Province cities of Qatif and al-Awamiyah have escalated, calling for the release of political prisoners and the end of the Saudi regime. Saudi officials are quick to condemn the unrest as Shi'a agitation and the work of a malicious Iran exercising encroaching influence in its closest province. The Saudi response to these various protests has been a brutal amalgamation of violence, placation, cosmetic political reform, political gamesmanship and craven appeals to religious authorities friendly to the regime. Initial requests of the Holy Najaf to issue a fatwa against protesting were rebuked, but on March 6th, 2011 the Saudi Arabian Council of Senior Scholars acceded (29 March, The Guardian). Checkpoints and blockades have been established in regions deemed problematic by the regime, while the Eastern Province Revolution's organizer made the plausible claim (similar practices have been documented in Egypt and other Middle Eastern states in times of popular upheaval) that thugs known as baltajiyya were granted release from prison and armed with the sole purpose of terrorizing protesters. According to a 2011 Amnesty International report titled "Saudi Arabia: Repression in the Name of Security," "Since March, more than 300 people who took part in peaceful protests in Qatif, Ahsa and Awwamiya in the east have been detained," while "the government has drafted an anti-terror law that would effectively criminalize dissent as a ‘terrorist crime' and allow extended detention without charge or trial." Most egregious, however, has been the regime's willingness to use live ammunition to disperse crowds and kill protest leaders, an escalation which began only in January but which has been sustained through the spring and summer. The consensus among independent observers is that the Saudi regime has gotten progressively more repressive in the two years since the initial Arab Spring protests. Kuwait's opposition and the corresponding regime crackdown have only recently left the relatively civil sphere of governmental turmoil, as tensions between the regime and government have largely played out in the form of parliamentary denunciations of the ruling ministers and their subsequent disbanding of parliament. However, recently this dynamic has proven too staid for the disapproving masses, who have taken to the streets in response to legislative gridlock and the empty promises of the Al-Sabah family. The most recent spate of tension began in 2006, when a youth-led movement consolidated the 25 gerrymandered voting districts determined by the regime in 1981 into 5 districts which were to more accurately reflect the will of the people. The motion had the desired effect, as parliament became increasingly composed of representatives who vocally opposed Al-Sabah policies and ministers. According to an oftrepeated BBC tagline, Kuwait's parliament "has the most power of any elected government in the Gulf, and opposition MPs openly criticize the ruling Sabah family." This power, along with a popularly-organized demonstration held at the parliament building, was instrumental in challenging former Prime Minister Sheikh Nasser al-Mohammad al-Sabah on allegations that he bribed 15 MPs to support the regime. His resignation in November 2011 was a remarkable testament to the seriousness with which the Sabah family considers the protests. 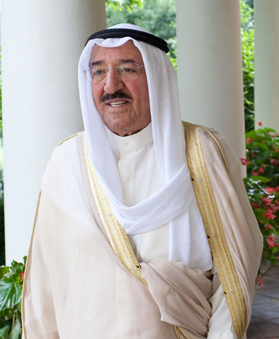 In an effort to placate the restive masses, Emir Sabah Al-Ahmad Al-Jaber AlSabah announced a patronage program on January 18th, 2011 that awards citizens 1,000 Kuwaiti dinars and 13 months of free food staples.7 But whatever good will he may have manufactured with this offer was quickly burned away by his indelicate management of the democratic segment of the government. Reuters reported on October 24th, "Kuwait saw some of the worst violence in its recent history when tens of thousands of demonstrators … protested this week at changes to elections laws they see as an attempt to limit the prospects for the opposition at the parliamentary vote." The regime's response underscored the illiberality it has been largely unsuccessful in concealing with its halfhearted appeals to representative government, banning "gatherings of more than 20 people" and "granting security forces authority to disperse any protests".9 The regression toward Saudistyle repression continued on October 30th with the arrest of opposition leader Musallam Al-Barrak on grounds of "criticizing the Emir." Protests are ongoing, and cut across the ideological spectrum from liberal reformers to Sunni and Shiite conservatives to Bedoon activists seeking political enfranchisement. Toby C. Jones put it bluntly in a recent article in the Middle East Research and Information Report: "… when U.S. leaders iterate their commitment to security in the Gulf, what they mean is that they are committed to the survival of their allies and the political systems that dominate the region. "11 The regimes effectively propagate sectarian fears, seizing on the narrative of the cross-border Shiite conspirator to divide potential opposition groups. Though social networking provides a new echo-chamber forum in which grievances may be aired and solidarity established, media repression still precludes the spread of dissent movements in Saudi Arabia and to a lesser extent in Kuwait. Patronage placation measures seem to have exhausted their political utility for the regimes in the short-term, but it would be unwise to discount the motivating nature of self-preservation that makes such craven appeals to public support salient. Deepseated apprehension of the disturbingly efficient security apparatus in Saudi Arabia continues to isolate protestors to a brave minority. But the seeds of discontent have ripened in ways previously unimagined in both countries. 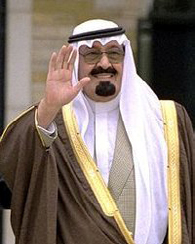 The Al-Sabah regime has been forced to engage its political opponents within the government and on the street, demonstrating a disjointed strategy of appeasement, coercion, legitimate governmental engagement bounded by public law and underhanded attempts at destroying the tentative quasi-democratic system it helped establish. Perhaps most important is the fact that discontented Kuwaitis have proven willing to directly confront the regime in numbers; since the hotly-contested December elections, opposition groups have gone so far as to call for a fully elected government (though one that still exists within a constitutional monarchy). The fates of both regimes are also dependent on their abilities to adapt to mounting economic challenges. The long-term unsustainability of their reliance on depleting oil reserves represents a serious threat to regime survival, especially when those reserves serve as the primary guarantor of American support and the source of the patronage schemes which placate a potentially restive citizenry. Saudi Arabia's Prince Walid bin Talal's $300 million investment in Twitter represents the fundamental tension between the regime's necessary engagement with modernity and its repressive practices. Seeking to invest in new markets, Kingdom Holding (the Prince's investment company) would be foolish to ignore the financial potential of a company whose popularity is such that the volume of Arabic messages sent using it has grown more than 2,000% in the last year. But that same company has been cited by many as a primary threat to the regime's stranglehold on power in the country. This irony speaks to the shifting political and economic realities with which the Gulf regimes must contend. Whether dissidents are able to capitalize on these shifts, and when, are key to regime stability. But upon close review, it seems undeniable that in both Kuwait and Saudi Arabia regime stability appears less assured now than it did two years ago. Allam, Abeer. “The House of Saud: Rulers of Saudi Arabia.” Financial Times. N.p., 30 Sept. 2010. Web. 30 Oct. 2012. Bsheer, Rosie. “Saudi Revolutionaries: An Interview.” Saudi Revolutionaries: An Interview. Jadaliyya, 21 June 2012. Web. 31 Oct. 2012. <http://www.jadaliyya.com/pages/index/6104/saudi-revolutionaries_an-interview>. Calderwood, James. “Kuwait Gives Each Citizen Dh13,000 and Free Food.” The National. N.p., 18 Jan. 2011. Web. 31 Oct. 2012. <http://www.thenational.ae/news/world/middle-east/kuwaitgives-each-citizen-dh13-000-and-free-food>. Countries at the Crossroads 2012. N.p. : Freedom House, n.d. Print. Humphreys, R. Stephen. Between Memory and Desire: The Middle East in a Troubled Age. Berkeley, CA: University of California, 1999. 169. Print. “Iran Says It Has Plan to Close Strait of Hormuz.” USATODAY.COM. N.p., 7 July 2012. Web. 30 Oct. 2012. <http://usatoday30.usatoday.com/news/world/story/2012-07-07/iran-strait-of-hormuz/56083762/1>. Jeddah, Reuters In. “Saudi Arabia Prints 1.5m Copies of Religious Edict Banning Protests.” The Guardian. Guardian News and Media, 29 Mar. 2011. Web. 30 Oct. 2012. <http://www.guardian.co.uk/world/2011/mar/29/saudi-arabia-edict-banning-protests>. Jones, Toby C. “Embracing Crisis in the Gulf.” Middle East Journal (2012): 27-43. Print. Kareem, Mona. “An Invisible Nation: The Gulf’s Stateless Communities.” An Invisible Nation: The Gulf’s Stateless Communities. Jadaliyya, 21 Aug. 2012. Web. 30 Oct. 2012. <http://www.jadaliyya.com/pages/index/6964/an-invisible-nation_the-gulf%E2%80%99s-stateless-communiti>. Kennedy, Dana. “Imprisoned Father of Autistic Boy Called ‘the Bravest Man in Saudi Arabia’” AOL News. AOL News, 8 Apr. 2011. Web. 30 Oct. 2012. <http://www.aolnews.com/2011/04/08/khaled-al-johani-the-bravest-man-in-saudi-arabia/>. “Kuwait’s Prime Minister Resigns after Protests.” BBC News. BBC, 28 Nov. 2011. Web. 30 Oct. 2012. <http://www.bbc.co.uk/news/world-middle-east-15931526>. Lulu, Tahiyya. “Let’s Talk About Sect.” Let’s Talk About Sect. Jadaliyya, 24 Feb. 2011. Web. 31 Oct. 2012. <http://www.jadaliyya.com/pages/index/733/lets-talk-about-sect>. Maher, Shiraz. “The Febrile Atmosphere within Saudi Arabia.” Spectator Blogs. The Spectator, 01 Mar. 2013. Web. 03 Mar. 2013. Monroe, SL. “Salafis in Parliament: Democratic Attitudes and Party Politics in the Gulf.” Middle East Journal (2012): 409-16. Print. “Saudi Arabia Accused of Repression after Arab Spring.” BBC News. BBC, 1 Dec. 2011. Web. 31 Oct. 2012. <http://www.bbc.co.uk/news/world-middleeast-15977980>. “Saudi Arabia.” News. New York Times, 7 Oct. 2012. Web. 31 Oct. 2012. <http://topics.nytimes.com/top/news/international/countriesandterritories/saudiarabia/index.html>. “Saudi Arabia: Repression in the Name of Security.” Amnesty International, Dec.2011. Web. 30 Oct. 2012. “Voters Register for Saudi Municipal Elections - Middle East - Al Jazeera English.” Al Jazeera English. Al Jazeera, 23 Apr. 2011. Web. 30 Oct. 2012. <http://www.aljazeera.com/news/middleeast/2011/04/201142320134356901.html>. Worth, Robert F. “Twitter Gives Saudi Arabia A Revolution Of Its Own.” The New York Times. The New York Times, 20 Oct. 2012. Web. 30 Oct. 2012. <http://www.nytimes.com/2012/10/21/world/middleeast/twitter-gives-saudi-arabia-a-revolution-of-its-own.html?_r=1>.